The United States Naval Station at Guantanamo consists of a seventy-three-kilometer area (including land and water), four kilometers wide, located east of the Sierra Maestra in Cuba's southeastern Guantanamo Province. United States Marines first landed at this site during the Spanish-American War in 1898. The United States leased the territory in 1903 as a coaling station for United States naval vessels transiting the Caribbean. 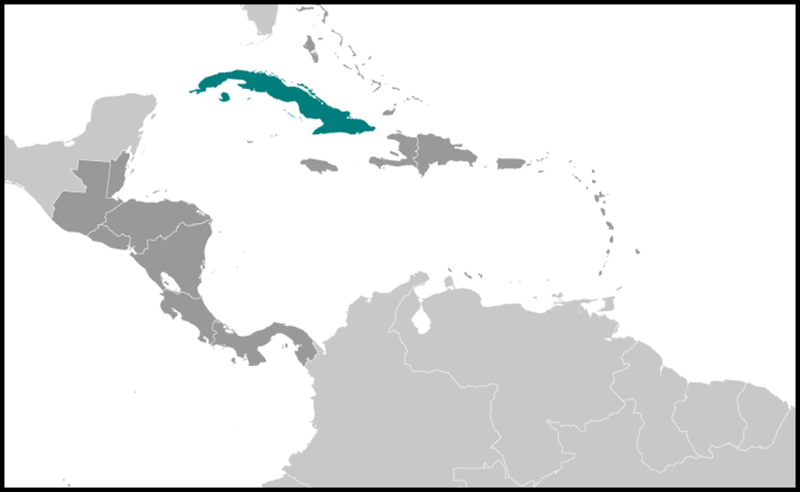 A 1934 treaty with the United States replaced the 1901 Platt Amendment (see Glossary), which had authorized United States military intervention in Cuba. Several of the principal provisions of both treaties were identical, however. For example, the 1934 treaty also grants a lease to the Guantanamo Naval Station area "in perpetuity" and free maritime access to the land through Guantanamo Bay. In exchange, the United States agreed to continue to pay the Cuban government an annual rent of $2,000, an amount tied to the gold standard that was equivalent in the late 1990s to just over US$4,000. The main difference was that under the 1934 treaty the United States agreed to forego the discretionary right to intervene in Cuba's domestic affairs. The United States also agreed in both 1901 and 1934 to terminate the lease by the joint consent of both governments. In terms of its strategic role, Guantanamo serves as a supply and logistics base for the United States Navy's Atlantic Fleet. Although the base's strategic value to the United States has declined over the years, it would still likely be a platform for operations in the event of war or natural disaster in the Caribbean or Latin America. For more mundane purposes, the United States Navy uses the base for exercises and maneuvers, the maintenance of United States naval vessels, and the monitoring of Cuban airspace. From time to time, it has also been used to temporarily house refugees, including 34,000 Haitian refugees in 1991 and many of the 30,000 Cubans who attempted to leave the island during the balsero (rafter) crisis in the summer of 1994. During 1999, the base was briefly considered as a possible temporary shelter for the estimated 20,000 Kosovo refugees left homeless as a result of the war. Although it serves as a permanent "home" to approximately 1,080 United States military personnel and possibly about 2,500 American civilian personnel, as well as 300 foreign nationals, the base is believed to be capable of providing temporary housing for up to 50,000. 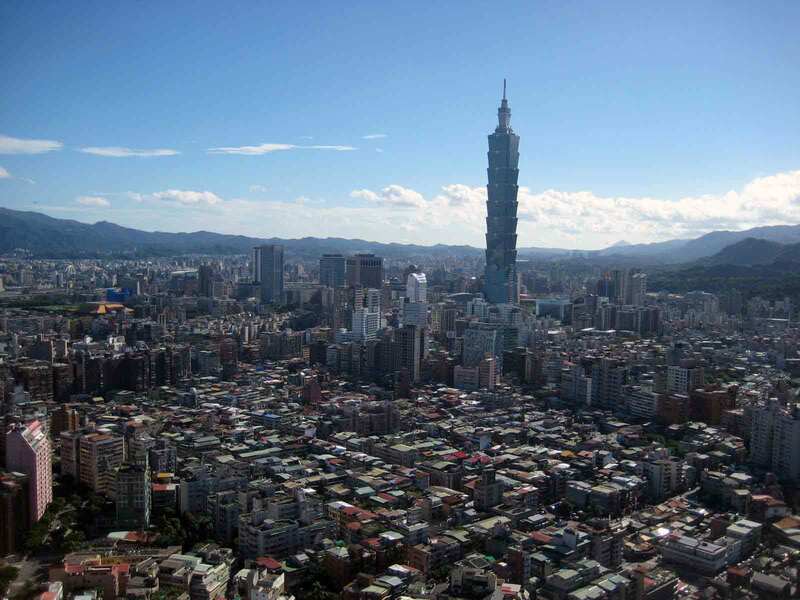 Since the 1960s, it has been self-sufficient in terms of its water supply and electrical needs. In the late 1990s, approximately 1,000 United States Navy personnel and 640 United States Marines were stationed at Guantanamo. The number of American personnel stationed there is expected to continue to decline over the foreseeable future as a result of ongoing efforts to pare military expenditures. The base, described by Fidel Castro as a "dagger plunged into the heart of Cuban soil," has remained a point of tension in bilateral relations. As a sign of its defiance of the United States' right to use the territory, Castro's government has refused the funds paid annually by the United States Department of the Navy over the past decades under the terms of the lease. Beginning in 1961, after President Dwight D. Eisenhower broke diplomatic relations with the Castro government, Cuban and United States military troops began patrolling opposite sides of a twenty-eight-kilometer barb-wire-fenced stretch of the perimeter that separates the base from Cuban territory, and watchtowers were constructed on both sides. Since then the base has remained separated from the rest of the island by barbed-wire fencing and a no-man's-land filled with antipersonnel and antitank mines that are designed as much to keep Cubans out of the base as to keep the American personnel there isolated. Since the onset of Cuba's economic crisis in the early 1990s, tourists on the Cuban side of the perimeter have been able to pay for visits to some of the look-out points used by the FAR's Border Brigade (Brigada de la Frontera) to monitor the base's activities. Despite Cuba's continuing adamant demand for the departure of American troops from Cuban territory, the tensions between Cuba and the United States over the base have been reduced in recent years, especially since the bilateral Migratory Accords were signed in August 1994 and May 1995 and the final Cuban refugees left the base. The accords establish that Washington grant 20,000 visas a year to Cubans who wish to reside in the United States and that Cubans picked up at sea be returned to Cuba, with no reprisals by Cuba. The last time that shots were fired by troops stationed on either side of the perimeter was in December 1989. In 1996 the United States began removing antipersonnel mines from its side of the no-man's land that separates the base from the rest of the island; the task was completed in 1999. These mines were replaced by motion and sound detectors to warn of any incursion onto the base. The Cubans, on the other hand, have not made public any plans to begin de-mining their side of the 1 OO-kilometer perimeter. Rather, the Cuban government maintains that these mines are needed for defensive purposes, and will be removed only after the United States gives up its base on Cuba's national territory. Thirteen American soldiers and five Cubans have been killed by the mines since their installation. 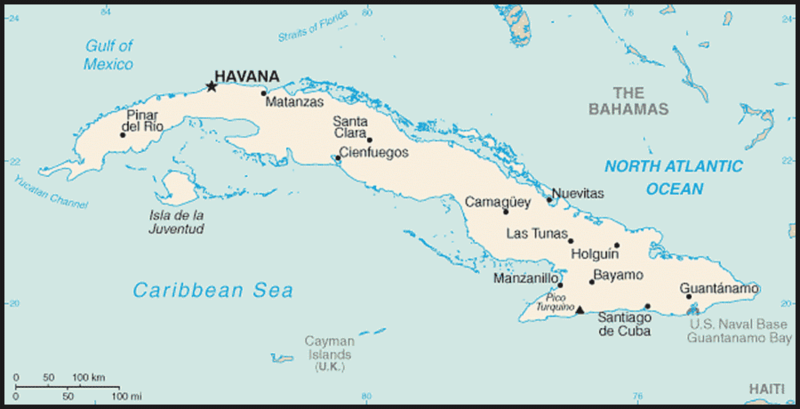 Between 50,000 and 70,000 mines were placed in the no-man's-land between Cuba and the Guantanamo base beginning in 1961.